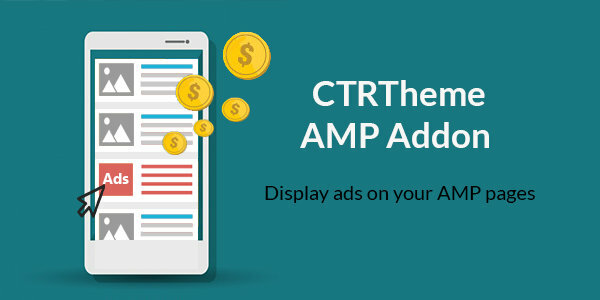 NOTE: CTRThemePlus AMP addon works only with CTRThemePlus WordPress theme. This addon lets you display ads on your AMP pages easily. Currently, it has two options to display ads - above the content and below the content. NOTE: For this addon to work, you need to have the CTRThemePlus WordPress theme. You'll see a new section in your theme options called "AMP Settings". Use the recommended sizes ads only. 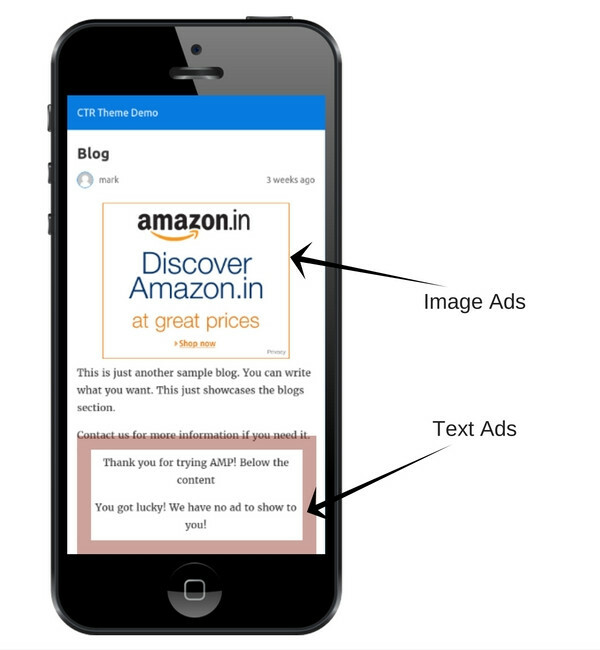 Replace ca-pub-xxxxx and data-ad-slot with your Adsense codes. Display ads on your AMP pages now.